Welcome to Tapped, where the brightest minds in beer pour out their suds-soaked knowledge. Drink it all in, right this way. Welcome to Tapped, Thrillist's new feature in which we ask our favorite folks in the beer industry to name their five favorite beers of the moment. This week, we hit up Sam Calagione, founder/owner of Dogfish Head, who took a break from preparing for the March opening of Dogfish's new Rehoboth Beach, DE seafood restaurant Chesapeake & Maine and promoting his new book Off-Centered Leadership to share which non-Dogfish beers he's currently loving. 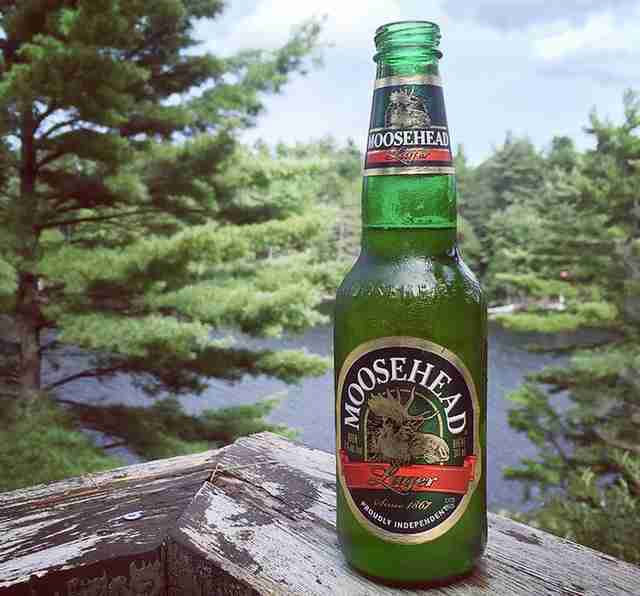 "I want to give a shoutout to a great indie, family-owned brewery north of the border: Moosehead. It’s like the Yuengling of Canada. It was my dad’s go-to beer when I was growing up and I always stole them from him. It still tastes great after my morning paddleboard session, hockey game, or hanging out on the beach." "We have always loved a great coffee-infused stout here at Dogfish Head, so my next pick would be the PM Dawn American stout with Barrington Barreiro coffee. 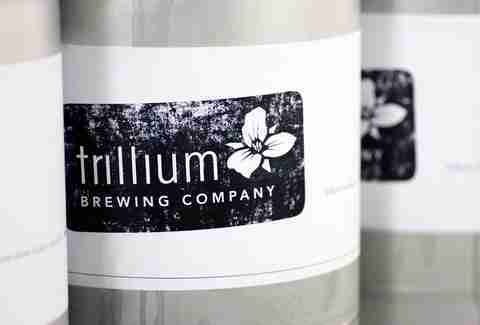 The PM Dawn American stout is from Trillium Brewing in Downtown Boston and, like Dogfish, Trillium is mom-and-pop-owned. Plus, my beer-geek/hip-hop band The Pain Relievaz (check us out on iTunes!) once opened for PM Dawn. It was probably at the height of our career and the nadir of PM Dawn's." 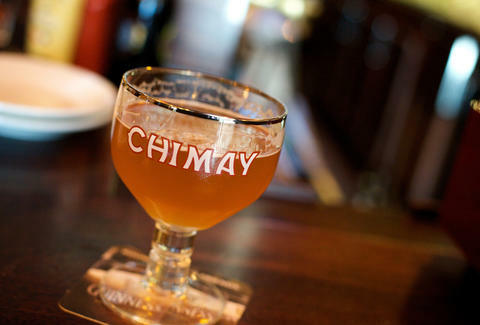 "I’ve always loved this beer and the Chimay Red. 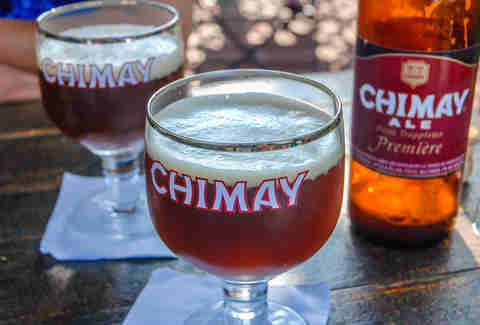 The two are very different and very flavorful beers that I fell in love with the same week when I graduated college and got a job waiting tables in NYC." 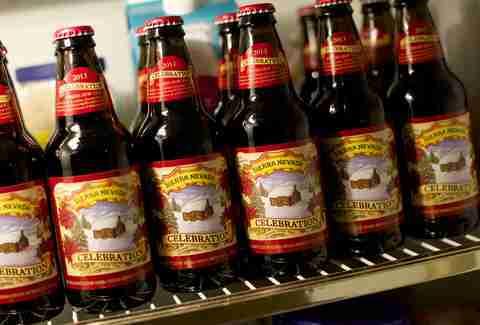 "[This is one of the beers that made me] fall in love with good beer -- not just the cheap beer I drank in college. I started home brewing within weeks of that experience." 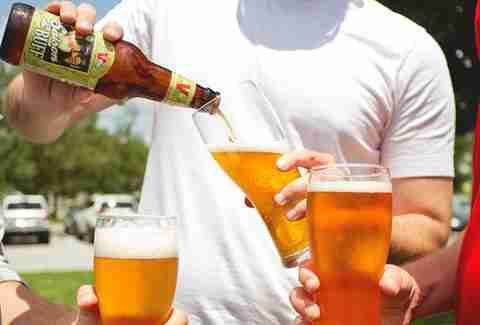 "Another one of my favorites is Victory’s Saison du BUFF 2015. A brewing collaboration between me and my brewing buddies Greg of Stone Brewing and Bill of Victory Brewing, aka Brewers United for the Freedom of Flavor (BUFF), Saison du BUFF is a refreshing, herbaceous brew created by using a number of botanicals including rosemary, sage, parsley, and thyme. It was a victory for BUFF!" Lee Breslouer is a senior writer for Thrillist, and has never been accused of being buff. Follow him to squats: @LeeBreslouer.